With the addition of the 5-axis machine tool, Imagineering Machine Inc. offers more than ever. Imagineering Machine Inc. is excited to announce the addition a new 5-Axis machine tool, the Quaser MF400C/U. The new machine tool allows increased accuracy and reduced set-up time for both prototype and production orders giving us the ability to deliver accurate parts in a timely manner. The machine tool itself has a machinable envelope of 410mm (X), 610mm (Y), and 510mm (Z). It allows +30° to -120° on the A-Axis and 360° continuous on the C-Axis. Weighing 7,300 kg (16,000+ lbs), the machine is rigid enough to hold the tightest tolerances on the most complex parts. In addition to the added production, Imagineering Machine Inc. plans to utilize the machine to reduce setup/run time on existing orders as well as increase their prototype capabilities. 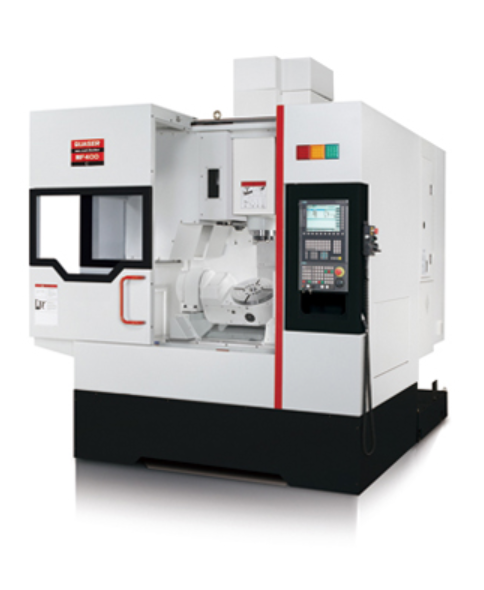 Modern Machine Shop also wrote of the benefits of a 5-axis machine tool. For more information regarding Imagineering Machine Inc as a company, our capabilities, and how we can help you, please find our contact information below. Imagineering Machine Inc. is a precision machine job shop located in Saint Louis Park, Minnesota. The focus on close tolerance, short run production of machined components for several industries including the semiconductor, industrial automation, and medical markets has allowed them to strive for more than 30 years. As a second-generation family owned company, their focus remains clear. Produce high quality, cost effective machined parts in a timely manner.